John Kerry calls on Russia to 'restrain' Assad's war campaigns on the date they had planned to meet at the negotiating table. 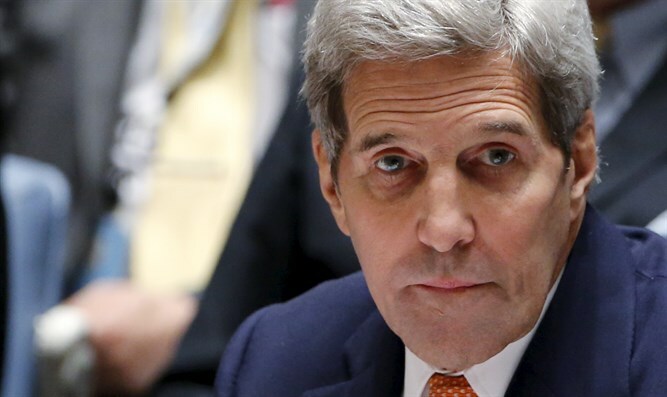 US Secretary of State John Kerry on Monday urged Russia to "restrain" itself and the government in Syria as fierce fighting there continues on the day he had hoped political transition could start. "It is critical, obviously, that Russia restrain both itself and the Assad regime from conducting offensive operations, just as it is our responsibility to get the opposition to refrain from engaging in those operations," he told journalists. Kerry said the government's attacks had prevented the warring parties from meeting for negotiations on Monday, the target date set for the regime and opposition forces to agree on the framework of a political transition. "The target date was set with the agreement that the parties were going to be able to go to the talks and begin immediately to negotiate," he said. "But because of the continued offensive operations of the Assad regime, the opposition found it impossible to sit in Geneva and actually negotiate without the cessation of hostilities." President Bashar al-Assad's forces have surrounded rebel-held districts in the city of Aleppo, one of the main front lines in the conflict ravaging the country since 2011. Aleppo's southern edges have been ravaged by intense fighting in recent days as rebels seek to ease the government siege and cut off the regime's own access route into the rest of the northern province. Russia and the United States are nominally co-chairs of an international effort to bring Assad's regime to the negotiating table with armed opposition groups. Hopes for the existing peace process rest on a UN-backed blueprint sketched out by the 22-country International Syria Support Group. Under the roadmap, signed by both Syria's ally Iran and Assad's pro-rebel foe Saudi Arabia, a nationwide ceasefire would precede Geneva-based talks on "political transition." The plan, endorsed by the UN in December, calls for the creation of a transitional body that should have taken place on August 1, followed by a new constitution and elections by mid-2017. "Almost all of the time, from the moment of the announcement of the target date until today, has been consumed by trying to get a cessation of hostilities in place that is meaningful," Kerry said, implicitly acknowledging the failure to meet the roadmap so far. "These are important days to determine whether or not Russia and the Assad regime are going to live up to the UN, live up to the cycle, or not," Kerry said. "And the evidence thus far is very, very troubling to everybody." "We will see in the course of the next hours, few days, whether or not that dynamic can be changed."